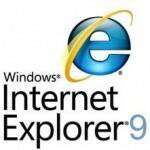 Starting Jan. 17, Microsoft began pushing out IE 8 and IE 9 to all customers through Windows Update. It began in Brazil and Australia. As noted in Microsoft’s Dec. 15, 2011, Exploring IE blog, the company’s plan is a slow rollout of IE Versions 8 and 9 to all Windows XP, Vista, and Win7 users who have automatic Windows Updates turned on. IE 9 has been offered to users as an optional update (prechecking the update box), but this is the first time a new version of IE has been set to automatically install. If you previously said no to IE 9 on Vista or Windows 7 (or IE 8 on Windows XP), Microsoft will continue to respect your wishes — neither of those browsers will automatically download to your machine. Although I like Internet Explorer 9′s new features, I’m not thrilled with its default interface — a sort of Google Chrome clone. So the first thing I did after installing IE 9 was re-enable all the toolbars, menus, and favorites I used to see in the previous versions. I also chose the option to show tabs on a separate row. If you, too, prefer the classic IE look, follow these steps: Right-click the upper edge of IE9. A hovering, popup menu should appear, as shown in Figure 1. Click those items you’ve used in the past and would like to see again. As you’ll see in Figure 2, I checked Menu bar, Favorites bar, Command bar, Status bar, and Show tabs on separate row. Figure 1: IE 9 in its bare-bones, default look, sans menu bars. Right-click the title bar at the top of the window to bring up your display options. Windows Secrets browser, IE 8, IE 9, internet explorer, windows secrets. permalink.